PICKTHAL: Because the blind man came unto him. SHAKIR: Because there came to him the blind man. PICKTHAL: Or take heed and so the reminder might avail him? PICKTHAL: Unto him thou payest regard. SHAKIR: To him do you address yourself. PICKTHAL: Yet it is not thy concern if he grow not (in grace). PICKTHAL: From him thou art distracted. SHAKIR: From him will you divert yourself. SHAKIR: Nay! surely it is an admonishment. YUSUFALI: Therefore let whoso will, keep it in remembrance. SHAKIR: So let him who pleases mind it. YUSUFALI: Honourable and Pious and Just. PICKTHAL: Man is (self-)destroyed: how ungrateful! SHAKIR: Cursed be man! how ungrateful is he! YUSUFALI: From what stuff hath He created him? PICKTHAL: From what thing doth He create him? SHAKIR: Of what thing did He create him? YUSUFALI: Then, when it is His Will, He will raise him up (again). PICKTHAL: Then, when He will, He bringeth him again to life. SHAKIR: Then when He pleases, He will raise him to life again. YUSUFALI: By no means hath he fulfilled what Allah hath commanded him. PICKTHAL: Nay, but (man) hath not done what He commanded him. SHAKIR: Nay; but he has not done what He bade him. YUSUFALI: For use and convenience to you and your cattle. PICKTHAL: Provision for you and your cattle. SHAKIR: A provision for you and for your cattle. YUSUFALI: And from his wife and his children. YUSUFALI: Each one of them, that Day, will have enough concern (of his own) to make him indifferent to the others. PICKTHAL: Every man that day will have concern enough to make him heedless (of others). 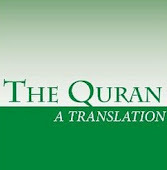 SHAKIR: Every man of them shall on that day have an affair which will occupy him. SHAKIR: Darkness shall cover them. YUSUFALI: Such will be the Rejecters of Allah, the doers of iniquity. PICKTHAL: Those are the disbelievers, the wicked. SHAKIR: These are they who are unbelievers, the wicked.